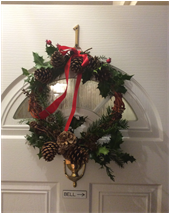 As many of you will be aware Kate Owens of Verdley Flowers was our speaker at our meeting and AGM on 6 December. 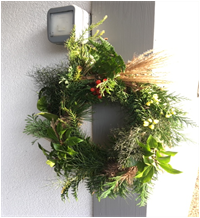 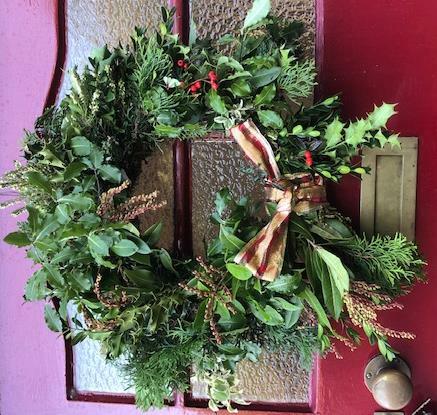 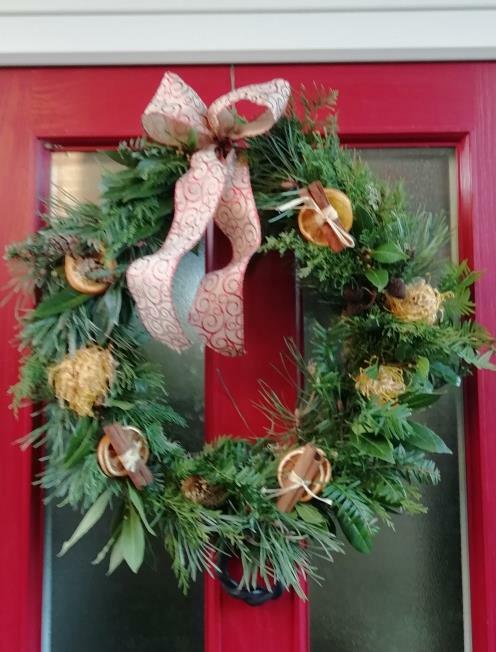 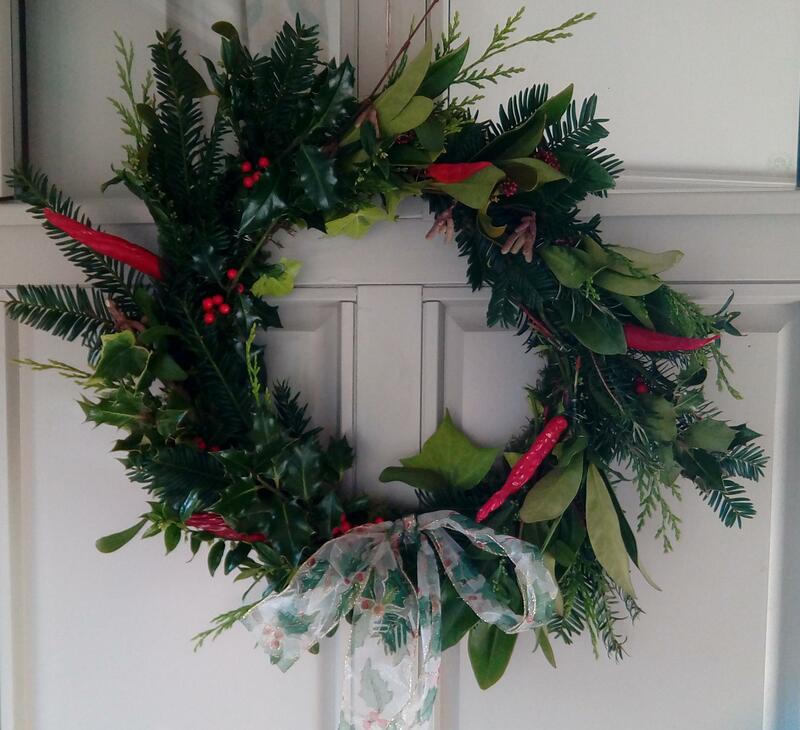 As well has a very interesting talk Kate showed us how to make a Christmas Wreath six of our members have already taken inspiration from her and produced some great wreaths - see below. 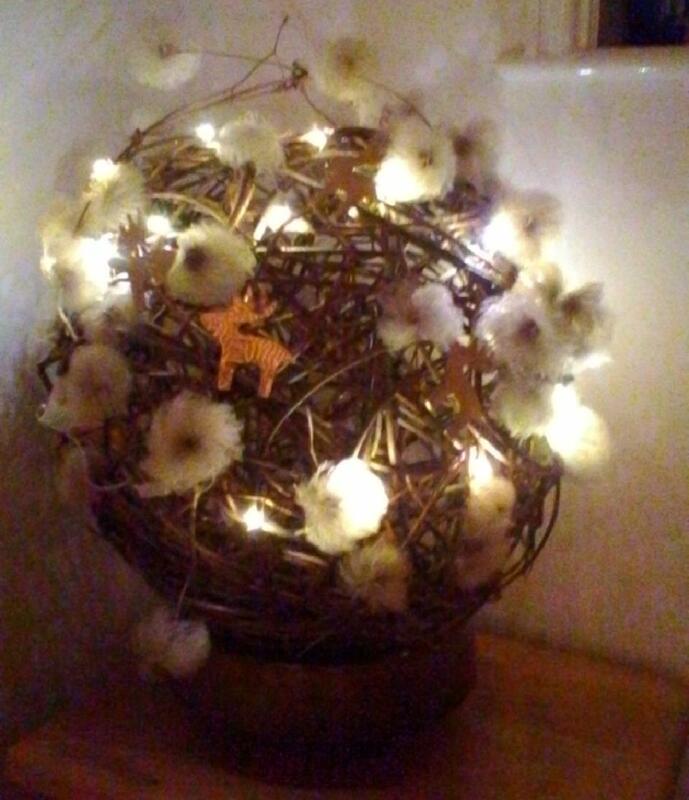 Our Chairman decided to take her inspiration from both Kate and also Dominic Parrette (Willow Crafts) and produced this splendid orb. 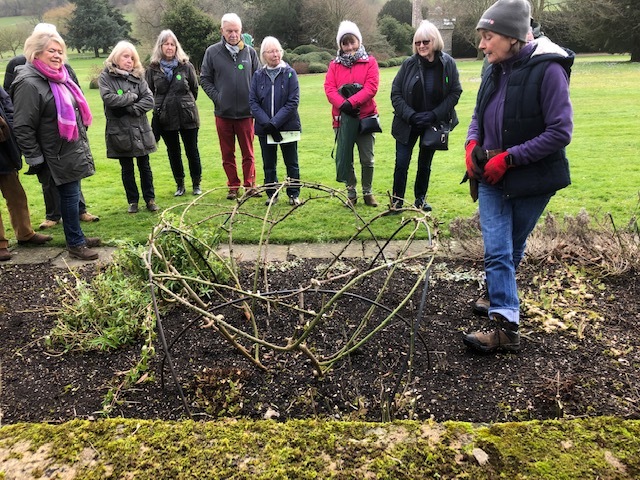 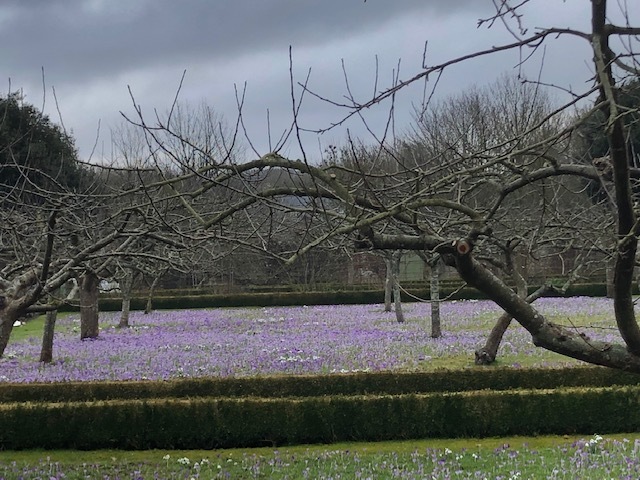 February 2019 and our PRUNING WORKSHOP AT WEST DEAN GARDENS - Anne Kelly, the Pruning Queen at West Dean,talked to us about all types of rose pruning and demonstrated how to prune shrub and rambling roses on the Pergola. 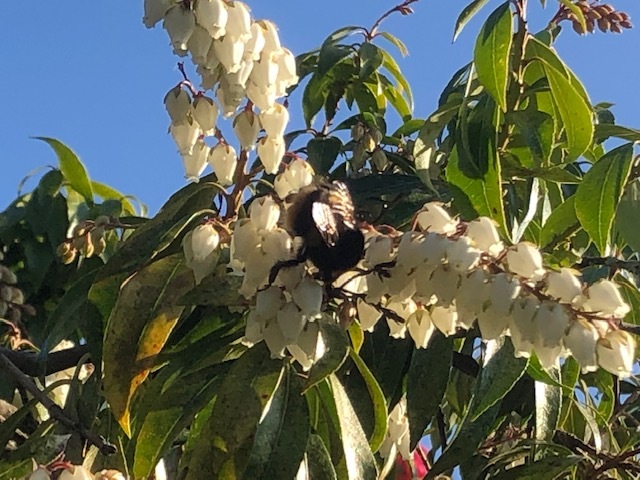 The Pergola is planted with roses, honeysuckle, clematis, wisteria and other shrubs, which Anne very carefully prunes and ties. 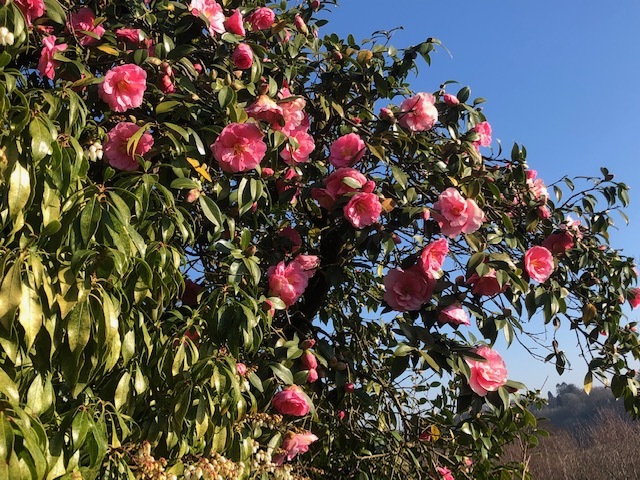 During the growing season, new growth is tied in weekly. 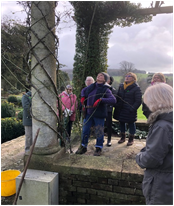 During the Winter all the plants are detached, pruned and retied that is two climbers per column, 62 columns, roughly a months work in the winter, what a lot of pruning experience and expertise! 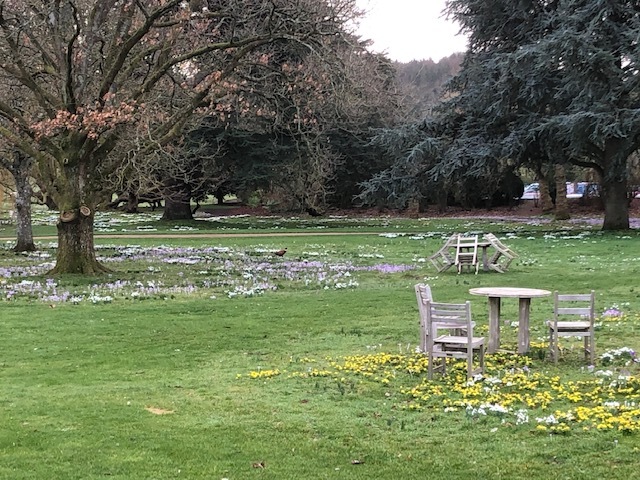 Apart from the wonderful demo and talk the crocuses and snow drops in the grounds were stunning. 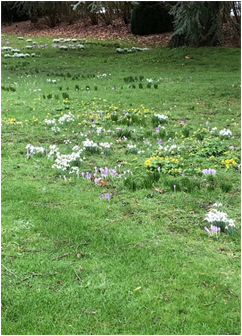 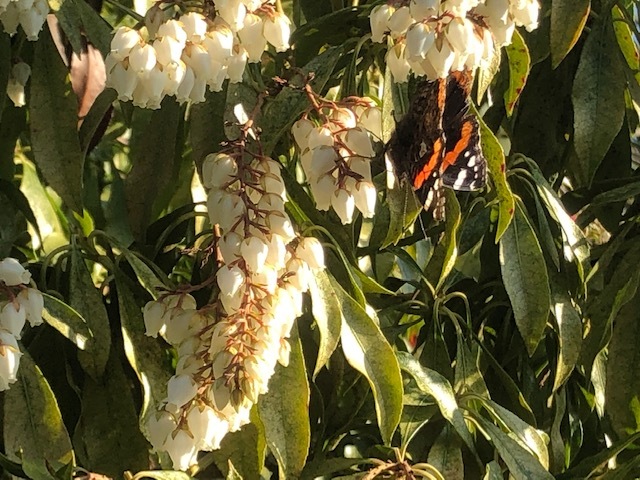 Spring has most certainly sprug in Lesley Buckley's garden - I am sure lots of other members have some colourful corners too!